That Paris is the global capital of fashion is hardly disputed (at least on this side of the Atlantic) but, when it comes to tailoring, the suit makers of rival European style hubs Milan and London have a lot to say for themselves. Nevertheless, the French capital is home to more than a few talented artisans whose custom-made suits, shirts, and coats have been delighting men and women for generations. Camps de Luca is in the unique position of being a highly regarded French tailor with roots in both Italy and Spain. Established in Paris in 1969, this family-run business is committed to continuing the legacy of its two founders, Joseph Camps and Mario de Luca. Today, it’s master tailor Marc de Luca who’s at the helm of this artisan men’s tailor and his sons Charles and Julien are patiently learning the craft. With them, tailoring truly becomes an art form. Monday to Friday, 8:30am to 12:30pm and 1:30pm to 6pm. Created in 2010, Artling has rapidly gained a reputation as one of Paris’ finest tailors, offering a superb range of suits and shirts in a subtly British style that are custom-made in the basement workshop of its store on the rue des Saints Pères. The selection of over 4,000 fabrics used in its designs comes from prestigious weavers such as Scabal, Loro Piana, Ermenegildo Zegna, and Holland & Sherry. Artling also offers women’s bespoke tailoring with an equally impressive range of options for materials and finishings. Open Monday, 2pm to 7pm, Tuesday and Wednesday, 10:30am to 7pm, Thursday and Friday, 10:30am to 8pm, and Saturday, 10:30am to 7:30pm. For more than 130 years, Cifonelli has been making couture suits that reflect the astonishing things that can be achieved in fashion when tailors place their clients at the center of the creation process. No less than three fittings and 80 hours of handiwork are required to achieve a Cifonelli suit, not to mention the army of 40-or-so master technicians at its Parisian workshop. Karl Lagerfeld once remarked that he could recognize the brand’s signature ‘cigarette’ shoulder at 100 yards and Marlene Dietrich and Josephine Baker both dazzled in Cifonelli tuxedos. Open Monday to Saturday, 10am to 7pm. The French Tailor has been in the men’s clothing game since 2003 and, thanks to its in-house garment workshop, it is able to offer made-to-measure suits and shirts at reasonable prices. In fact, items from its custom-made range come in at the same price as its ready-to-wear collection. 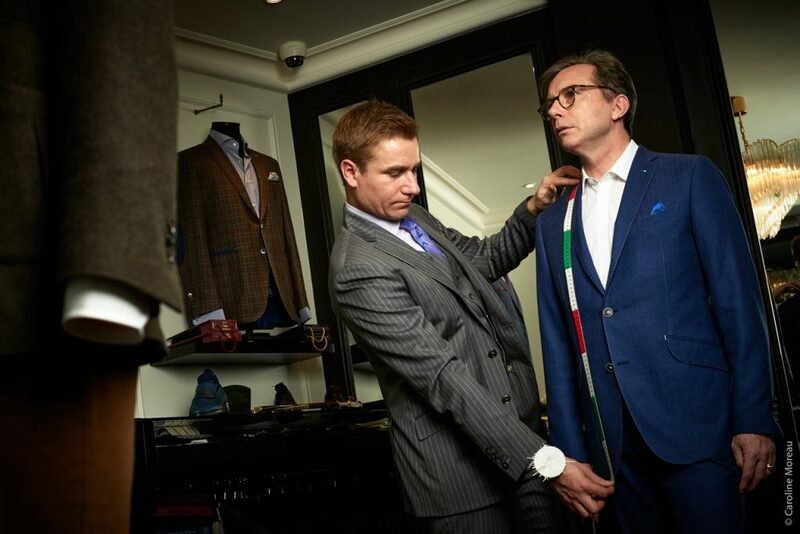 The French Tailor has boutiques in Paris, Brussels, and Shanghai, and tailors make office calls in all these locations to take measurements and present fabric choices. Open Tuesday to Friday, 11:30am to 7:30pm, and Saturday, 10:30am to 6:30pm. The House of Dormeuil is renowned the world over for the quality of its fabrics and when you opt for its bespoke tailoring service you have more than 2,500 of them to choose from. The finished item, which can be personalized with the cut or a wide range of embellishments, is guaranteed to be the embodiment of elegance and luxury. One of Dormeuil’s made-to-measure specialists can also visit you at home or at the office to take your measurements, which will be kept on record to make your next purchase with them that much easier. Open Tuesday to Friday, 10:30am to 7pm, and Saturday, 11am to 7pm. Open Monday to Saturday, 10:30am to 7pm. 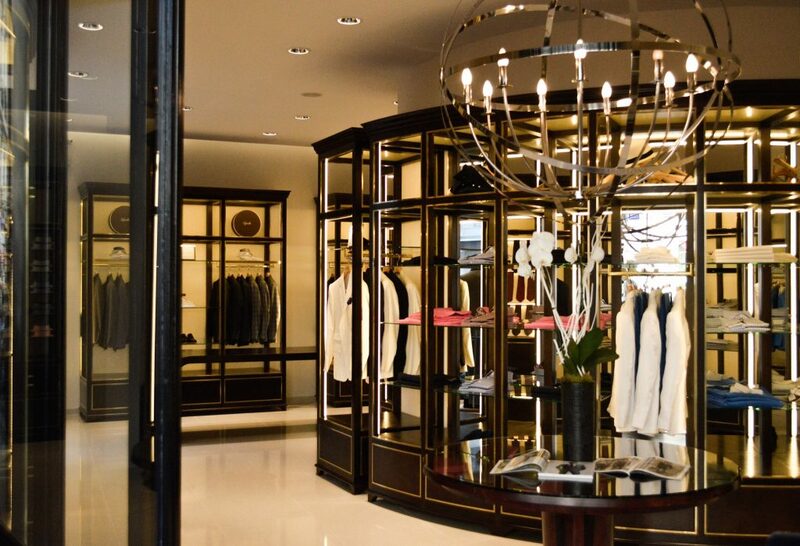 Jean-Luc Rambure of the Maison Rambure is one of the most sought-after luxury tailors in Paris. He incorporates traditional savoir-faire into a trendy design aesthetic to create made-to-measure suits that are one of a kind and will last a lifetime. A trip to his atelier on the rue Saint-Honoré provides a one-on-one lesson in Parisian style. For Christian Rousset, the man behind L’Atelier Hoche, the details are what make an incredible suit, one that matches his client’s budget, preferences, and clothing habits. Made-to-measure two-piece suits begin at €780 and the store also offers two collections to guarantee the broadest possible choice. The Bespoke collection comes with, among many other features, the choice of 10,000 fabrics and starts at €1,180 and the Sartoria collection, which adds a French touch to the finest Italian tailoring, begins at €2,780. Open Monday to Saturday, 11am to 7pm. Appointments are also possible between 8:30am and 8pm at your home, office, or hotel. The tailors at Scavini believe in the Yves Saint Laurent philosophy that says ‘When you feel good in clothing, anything can happen. Good clothing is a passport to happiness.’ Scavini’s two-piece passports to contentment take up to six weeks to make at the Sartena workshop in northern Italy and start at €1,600. Famously light and sophisticated, they use luxury fabrics from Holland & Sherry, Drapers, Caccioppoli, Bateman Ogden, and, of course, Dormeuil. Open on appointment Monday to Wednesday and Friday and Saturday, 11am to 2pm and 3pm to 7pm. This high-end tailor on the glitzy Place Vendôme was founded in 1838 and is, as such, the world’s oldest shirt shop. Today, it creates bespoke and ready-to-wear shirts, neckties, pajamas, suits, and blouses for a long list of illustrious clients from royalty to heads of state and celebrities. It’s particularly renowned for its lavish selection of fabrics and exquisite scarfs. Jane Birkin, Catherine Deneuve, and Kate Moss have all rocked Charvet shirts when in Paris. Founded by husband and wife team Sophie Samson and Stephen Ricard, the first of the Samson boutiques opened on the rue de l’Arcade in the 8th arrondissement in November 1999. Since then, the business has expanded to three more locations in the capital as well as to Lyon and Bordeaux. 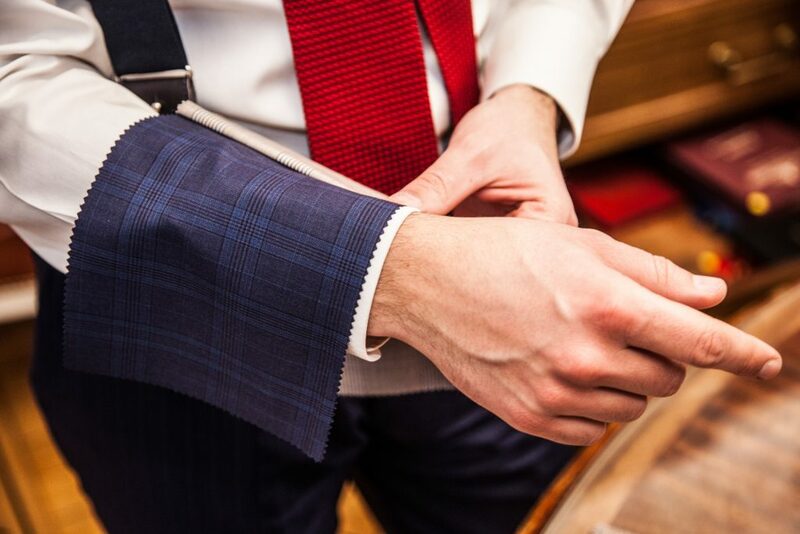 Samson exclusively offers custom-made suits, shirts, and coats for men. Open Tuesday to Saturday, 11am to 7:30pm, preferably by appointment.